Definition: A set of fundamental principles that organise a state or country. These are normally written principles or laws. However, the UK has an ‘unwritten constitution’. 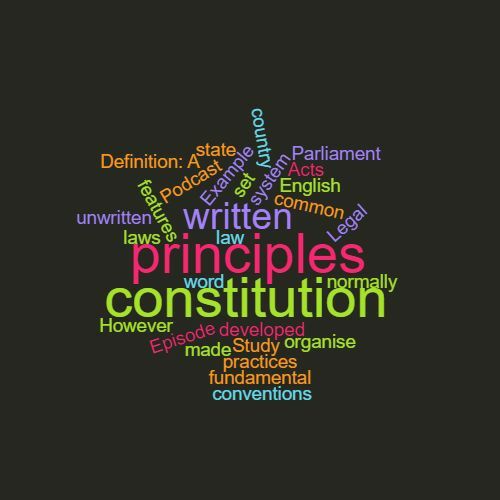 The constitution is made of Acts of Parliament, conventions, principles and practices which have developed through the common law system. Example: The UK does not have a written constitution. This word features in Episode 51 of the Study Legal English Podcast.